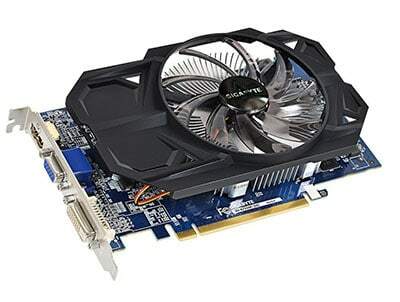 Graphics card is a really important part of any Gaming PC or for a PC which is highly used for graphic or Video editing work. But most of the peoples think that graphics card is only used for gaming PC which is not true. A graphics card improves overall performance of your PC like your video playback experience, graphics, Photoshop, Video editing, AutoCAD work and more. But first, guys all the graphics card you saw in this list are good but each and works differently according to the hardware of your PC. So, must check the hardware of your PC before you buy anyone from this list. That is a Graphics card with 2GB of DDR5 Memory with New Nvidia Pascal architecture which delivers improved performance and power efficiency. This Graphics card can easily run Classic and modern games at 1080p at 30-40fps and even you can try to run 4K at low frame rates. But I recommend 1080P for a Fast, smooth and power-efficient gaming experience. Connectivity DisplayPort, HDMI, and dual-link DVI-I. And this Zotac Geforce GTX 1030 is Super compact and whisper quiet. So, Overall that is a quite good Choice under Rs.8,000 So you can save Rs. 2000 here and get good gaming experience. But If you can spend up to 10000 then I do not recommend this one personally. 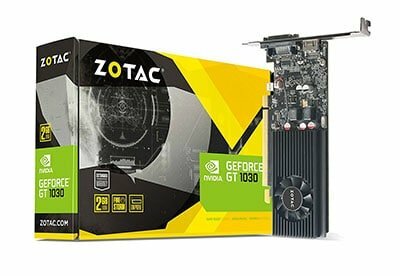 You will be going to see a lot of ZOTAC graphics card on our list because they make some really good graphics card in the budget section. 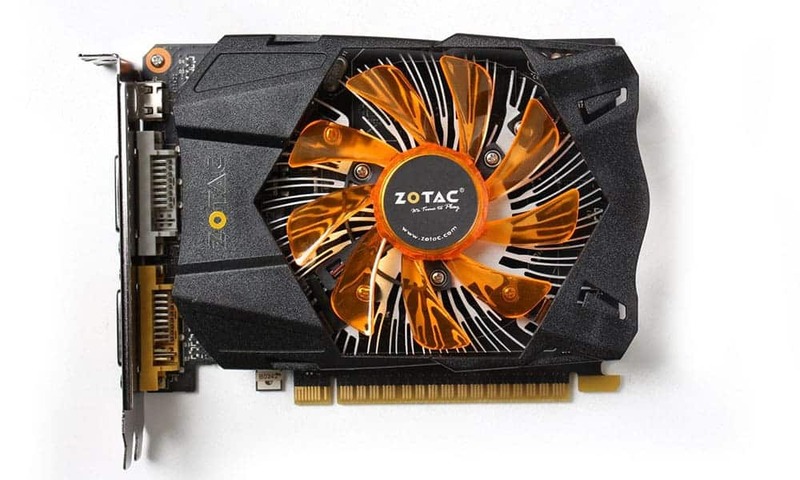 Zotac Geforce GTX 750 is a mini size slim graphics card. The size of this Graphics card is 144.78 x 5.7 X 111.15 mm. NVIDIA GPU Boost 2.0, NVIDIA Adaptive Vertical Sync, NVIDIA SMX shader architecture, NVIDIA PhysX, NVIDIA CUDA, NVIDIA 3D Vision Surround, and NVIDIA SHIELD. Which makes this graphics card is highly efficient in performance. All in all, this will especially going to benefit gamers. 1. It has 2 DVI ports, 1 VGA port, and 1 Mini-HDMI port. 2. Zotac GTX 750 Ti Graphics Card required a 400W power supply and consume 60W power. 3. This one is compatible with NVIDIA GeForce driver, Microsoft DirectX 11.2 and OpenGL 4.4. 8. Maximum Resolution supported by this graphics card is 4K. Gigabyte is a Known brand for computer parts in worldwide and they build really great graphics card too and here is one in our list Gigabyte AMD Radeon R7-360 which has AUTO-EXTREME Technology with Super Alloy Power II delivers premium delivers premium quality and best reliability. Dust-proof fan resists dust and particles for 25% longer graphics card longevity. GPU Tweak II makes overclocking easier and more visual than ever with an intuitive, all-new UI. 1. It has AMD Radeon R7 Chipset. 2. Graphics Memory: 2GB DDR3 Memory. 4. Base Clock: 1050 MHz. 5. Boosted Clock: 1100 MHz. 6. PCI Express 3.0 bus interface. Overall this one is not so different from others in this price range. 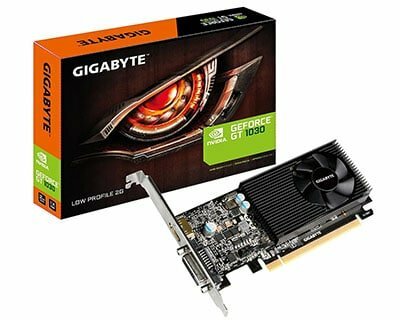 Gigabyte Geforce GT 1030 is a 2G Graphics card which is meant for budget gamers and with this GPU you can play latest games at 30-35 FPS without any problem but as I told you above don’t expect too much these are just budget graphics card. 1. It has GV-N1030D5-2GL Chipset. 2. NVIDIA GeForce GT 1030. 3. Base Clock: 1252 MHz. 4. Boost Clock: 1506 MHz. 5. Video Memory: 2GB GDDR5. 7. Max Resolution: 4096 x 2160. 8. Support 2 Display at the same time. 10. This Video Card Supports Microsoft DirectX 12 and OpenGL 4.5. 11. 300W System Power Supply Requirement. 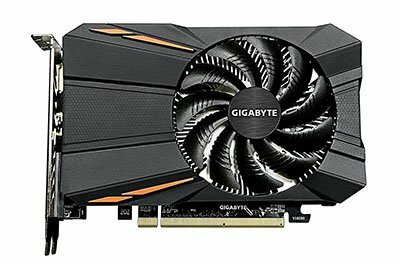 Gigabyte Radeon RX 550 is the best option if your budget is under 10,000. With this Graphic card you can easily run 1080P games at 45-60FPS which are quite good for the Price. This Graphics card has Single Blade fan design which is more than enough for this. It has a lot of connectivity options all the main specs are listed below. 1. It has Radeon Chipset. 2. Base Clock: 1195 MHz. 3. OC Mode: 1227 MHz. 4. Video Memory: 2GB GDDR5. 6. Max Resolution: 4096 x 2160. 7. Connectors: DVI-D, HDMI and VGA. 8. This Video Card Supports Microsoft DirectX 12 and OpenGL 4.5. 9. 400W System Power Supply Requirement. 1. Battlefield 1 (2016) at 60 FPS with Mix of medium and high settings. 2. Watchdogs 2 at 50 FPS on Medium settings. 3. GTA 5 at 60 FPS on medium to high settings. 4. Crysis 3 at 40 FPS on High settings. 5. Witcher 3 at 40 FPS on High settings. So, Guys, these are our picks for the best graphics card for gaming under Rs. 10,000 which you can buy in 2019 without any second thought in your mind but don’t expect amazing gaming performance from these in this budget the GPU you get is good enough for entry-level gaming at 30-40 FPS. If you ask me which one to go for I recommend you to go for GTX 1030 or Gigabyte Radeon RX 550 is the best option under Rs.10,000. Confused between R7 360 2GB GDDR5 and Rx 460 Windforce OC,. multiple graphics cards are above 10000. Did you checked before posting this article ? Great article Keep up the Good work! !